As the impacts of climate change intensify, environmental scientists and earth system modelers are rapidly advancing our understanding of the complex dynamics of climate change. Although large quantities of high-quality climate data and climate science information are now publicly available, the usability of this information to policy-makers and other nonacademic decision-makers is limited. It is widely recognized that novel approaches to increasing the usability of climate science information and enhancing its influence in decision-making are needed. This chapter reports on a regional climate change impacts modeling project called BioEarth funded by the United States Department of Agriculture (USDA) and based at Washington State University, which is attempting to bridge the gap climate science usability gap. We consider the lessons learned in the course of BioEarth’s stakeholder engagement efforts and reflect on how those insights may contribute to other initiatives seeking to develop and communicate useable climate science information. Lessons from BioEarth may be applicable to USDA’s recently established Regional Climate Hubs, which are envisioned as internet-based centers that will deliver climate change data and analyses to farmers, ranchers, and forest landowners. 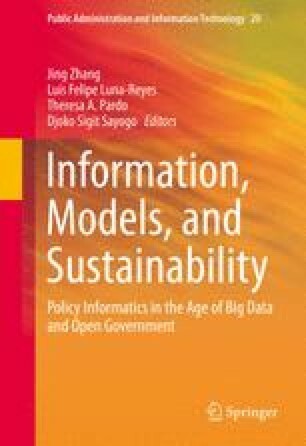 This research contributes to the emerging field of policy informatics by exploring mechanisms by which climate science data and models can become more usable to decision-makers. This research is funded from the Department of Agriculture, National Institute of Food and Agriculture grant number 2011-67003-30346. The authors would like to thank the stakeholders who have contributed invaluable insights to the BioEarth project and have engaged in critically important work addressing regional environmental challenges.